INVOEE focus on cnc spindle VFD, professional cnc spindle manufacturer. 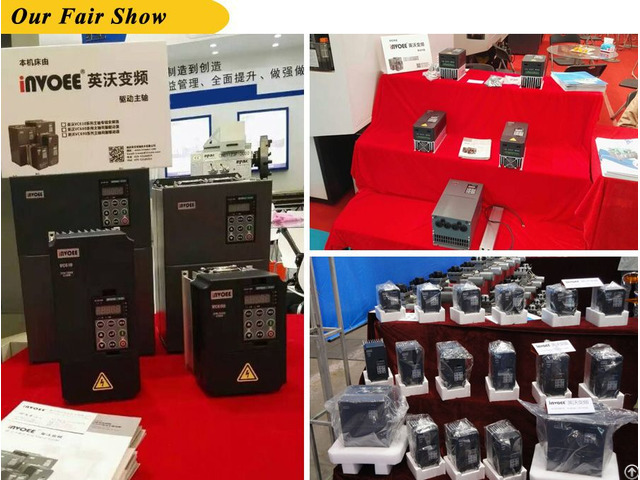 This picturer is our VFD exhibition image. VC610 has the following function: 1. Super low speed & large torque. 2. Super fast start /stop. 1. Spindle precise positioning servo. 3. Rigid tapping and thread cutting. Under the continuous improvement, our VFD quality is better and better.